Thai authorities have issued a warning to Facebook Thailand to remove all “illicit” content which they say violates the country’s law, including a video of the king wearing a crop top, as well as posts critical of the monarchy, by next Tuesday. 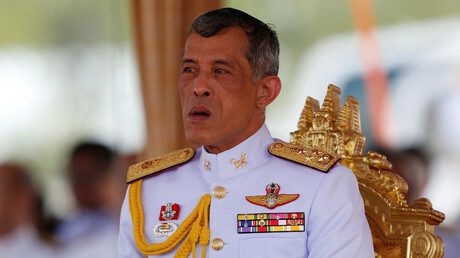 Last week, Facebook blocked users located in Thailand from accessing footage of King Maha Vajiralongkorn. 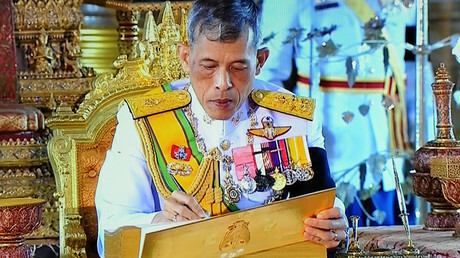 A video captured the 64-year-old ruler wearing a yellow crop top that exposes numerous tattoos on his arms, stomach, and back. The monarch can be seen walking around a shopping mall with a young woman. Although Facebook has already complied with the Thai government’s request and restricted access to 178 of the 309 pages with the “illicit” video, the National Broadcasting and Telecommunications Commission (NBTC) claims that there are still 131 pages available. The company has been given a deadline of 10am local time next Tuesday morning to remove the remainder. “If even a single illicit page remains, we will immediately discuss what legal steps to take against Facebook Thailand,” said Takorn Tantasith, secretary-general of the National Broadcasting and Telecommunications Commission, as quoted by media sources. Facebook has not explained why the videos are still up, the Bangkok Post reports. Earlier, a company spokesman, who declined to be named, told the Bangkok Post via email that Facebook is reviewing the government’s requests to restrict access to material said to violate local laws. “If we determine that it does, then we make it unavailable in the relevant country or territory and notify people who try to access it why it is restricted,” he said. The Thai Ministry of Digital Economy and Society would first press charges against Facebook Thailand and its partners, Takorn said. However, if the regional unit “was registered as a separate entity, it cannot be sued since it has no power to control illegal [Facebook] content” the head of IT/Communications Practice Group at Baker & McKenzie, Dhiraphol Suwanprateep, told the Bangkok Post. Thailand is known for its harsh rules against defaming the monarchy. Under the lese-majeste law, anyone found guilty of insulting the royals can end up in jail for up to 15 years. Since the military seized power in 2014, lese-majeste prosecutions have been on the rise, with 105 people arrested so far, and six detained just last month, according to figures from the Worldwide Movement for Human Rights. In 2015, a Thai man faced a jail term for posting images of late king Bhumibol’s dog in a way which allegedly mocked the monarch. In another case, human rights lawyer Prawet Prapanukul currently faces 150 years behind bars if convicted on ten counts of defaming the monarchy.